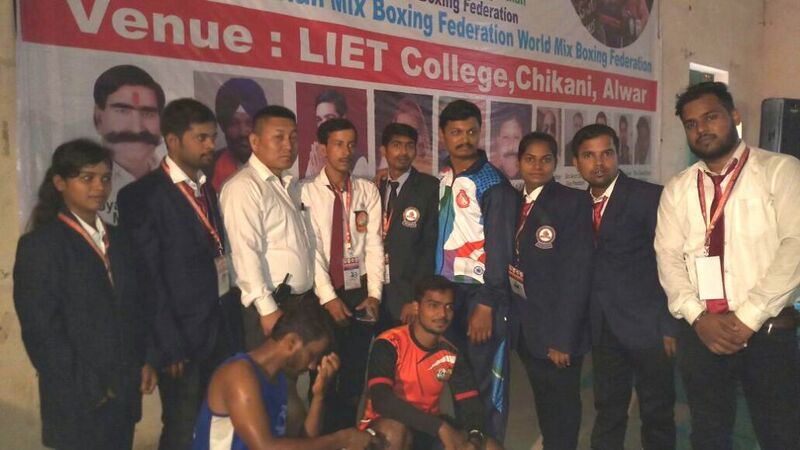 Imphal, May 12 : Manipuri players bag 2 Silver and 1 Bronze medal in the 1st World Mix Boxing Championship which begins from May 4 and concluded on May 5 at Luxmi Devi Engineering & Technology College, Chikani Alwar, Rajasthan. Waikhom Prasanta Singh who played in under 19 years category (67 – 70 Kg ) and Moirenjam Manao Singh who played in Sub – Junior category (48 -50 Kg) bagged Silver medal while K. Bobocha who played in Junior category (48-50 Kg) bagged Bronze Medal. Master Ch Premchand Singh was the official of the Indian team.